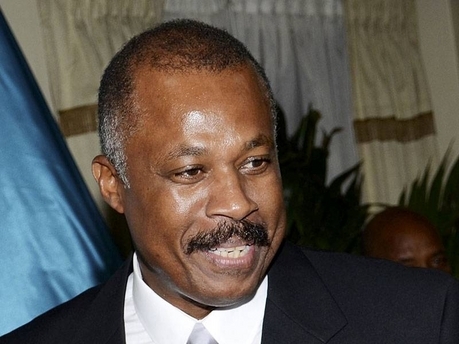 FOLLOWING IS THE FULL TEXT OF THE ADDRESS DELIVERED BY PROFESSOR SIR HILARY BECKLES, CHAIRMAN OF THE CARICOM REPARATIONS COMMISSION, AT THE BRITISH HOUSE OF COMMONS, PARLIAMENT OF GREAT BRITAIN, COMMITTEE ROOM 14, ON THURSDAY, JULY 16, 2014, AT 9PM. Madam Chair (the distinguished member of Parliament for Hackney North and Stoke Newington, Diane Abbott), other distinguished members of the House of Lords and House of Commons, Excellencies of the Diplomatic Corp, colleagues at the head table, Ladies and Gentlemen. The case of genocide is not only in respect of our decimated native community. It is also important to recognize the genocidal aspect of chattel slavery in the Caribbean. British slave ships brought 5.5 million enslaved Africans into their Caribbean colonies over 180 years. When slavery was abolished in 1838 they were just 800,000 persons remaining. That is, a retention/survival rate of 15%. Jamaica received 1.5 million Africans. Only 300,000 remained at Emancipation (20%). Barbados received 600,000 Africans. Only 83,000 remained at Emancipation (14%). This case is for the Caricom governments to present on behalf of its citizens. I am sure that in its presentation there will be due regard for the principles of diplomacy and development cooperation - for which they have long distinguished themselves. This process will bring honour and dignity to the people of the Caribbean as well as to the people of Great Britain and Europe. Slavery was ended in 1838, only to be replaced by a century of racial apartheid, including the denigration of Asian people. Indigenous genocide, African chattel slavery and genocide, and Asian contract slavery, were three acts of a single play – a single process by which the British state forcefully extracted wealth from the Caribbean resulting in its persistent, endemic poverty. I wish to comment, as a result, on the 1833 Act of Emancipation, and how this august Parliament betrayed the enslaved people of the Caribbean by forcing them to pay more than 50% of the cost of their own emancipation. This is an aspect of the history long hidden from public view. What this Parliament has hid from the world is that it also determined that the remaining £27 million would be paid by the enslaved people to their enslavers, by means of a 4 year period of free labour called the Apprenticeship. This period of additional free labour by the emancipated represented the enforced extraction of £27 million by the state. It was a cruel and shameful method of legislating Emancipation by forcing the enslaved to pay more than 50% of the financial cost of their own freedom. The £20 million paid the enslavers by this Parliament was less than the £27 million paid by the enslaved to the enslavers as dictated by this House. I wish now to engage the argument of the British Government that the slavery and other colonial crimes were ‘legal’, and that they took place ‘a long time ago’, and are beyond the border of adjudication. Upstairs this chamber sits the Earl of Harewood. He is an honourable member of the House of Lords. But does Lord Harewood know that my grandfather after Independence in Barbados in 1966 labored on this sugar plantation, as did his father and forefathers, going back to the days of slavery? Does the goodly Lord know that as a child I took lunch for my grandfather into the canefields of his sugar plantation? Lord Harewood, and my family, go back a long way, from slavery right into the present. Take also the very aristocratic and very distinguished Cumberbatch family. It has now produced the brilliant young actor, Benedict Cumberbatch [who I would love to meet one day]. Benedict’s grandfather owned the estate on which my beloved great grandmother worked all her adult life. They enslaved my family on their Cleland plantation in the parish of St. Andrew. My great grandmother, who helped to raise me, and who we all called ‘mammy’, carried the name Adriana Cumberbatch. The actor and academic are joined therefore by a common past and present, and maybe, common blood! When all is said and done, our governments these past 50 years have been cleaning up the mess left behind by Britain’s colonial legacy. Our finest Presidents and Prime Ministers have been devising projects to clean up the awful mess inherited from slavery and colonization. They must be commended for this effort, but the fact is, this legacy of rubble and ruin, persistent poverty, and racialised relations and reasoning, that continues to cripple our best efforts, has been daunting. (1) Jamaica, Britain’s largest slave colony, was left with 80% black functional illiteracy at Independence in 1962. From this circumstance the great and courageous Jamaican nation has struggled with development and poverty alleviation. The deep crisis remains. This Parliament owes the people of Jamaica an educational and human resource investment initiative. (2) Barbados, Britain’s first slave society, is now called the amputation capitol of the world. It is here that the stress profile of slavery and racial apartheid; dietary disaster and psychological trauma; and the addiction to the consumption of sugar and salt, have reached the highest peak. The country is now host to the world’s most virulent diabetes and hypertension epidemic. This Parliament owes the people of Barbados an education and health initiative. The Caricom Ten Point Plan for Reparatory Justice addresses these development issues that are central to the case Britain has to answer. In 1823, the honourable Thomas Buxton, M.P. for Weymouth and Melcombe Regis, presented a bill to this House calling for an Emancipation Act with compensation for the enslaved people. His bill and vision were defeated. Instead, ten years later, an emancipation bill was passed, not with compensation for the enslaved, but with handsome and generous compensation for enslavers. Some 40% of the national expenditure of the country was handed over to slave-owners as reparations. The enslaved people of the Caribbean got nothing. Indeed, they were then called upon by the said Emancipation Act to give £27 million in free labour to their enslavers. The injustice and the cruelty of that Emancipation Act, remain today like a fish bone stuck in our throats. We urge you, madam Chair, and other members of this Parliament, to rise up and bring the Buxton vision to life. He was a noble warrior for reparatory justice; his spirit can return to this House, in both places, and the 21st century will be ours to forge a new moral order for our collective wellbeing.